If your transmission is leaking because of a bad pan gasket, replace it with a new one from Mr. Gasket. Choose from either standard or premium gaskets depending on your specific application needs. Each transmission pan gasket is sold individually. 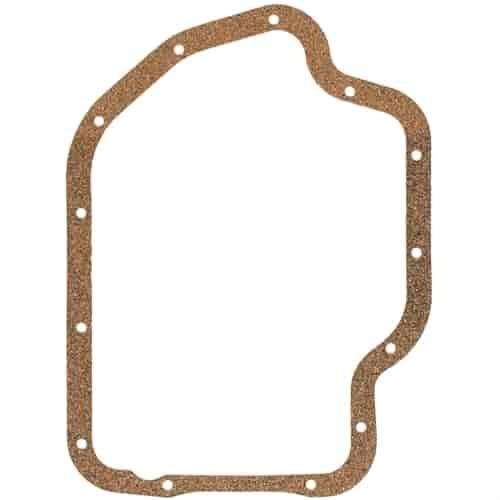 Standard Gaskets: Are precision made from either cork or neoprene material which features excellent compressibility and greater thickness recovery for a positive seal. These gaskets are intended as a one-time use only. Premium Gaskets: Are precision made with a glass-filled nylon carrier that has molded rubber on both the top and bottom of the gasket. Each bolt hole has a torque limiter that helps to prevent over-torquing. These gaskets are reusable and can be cleaned with soap and water. They are ideal for applications that require frequent service. Does Mr Gasket 8691 fit your vehicle?